Anyhow, that's not to say that this isn't an extremely flawed drama, because it most certainly is--but as a whole, it really works well. It has a very dark--and consistent--grungy tone that seems to permeate this type of noiry Asian film depicting the underbelly of society. I haven't really seen this style anywhere else, and it's not something that is often seen in K-drama so I was intrigued to say the least when I found out about this drama. I was also worried that it would be unbearably cheesy and makjangy, but I have been happily surprised. World and I was wondering if I really wanted to watch more serious drama, but between this and Shark, this one sounded more intriguing: either it would work really well or not at all. And it works! And while it is dark and serious, it's also very exciting, with decent action, a solid soundtrack, and a very consistent tone. Plus, it's a lot of fun. The drama started with a bang and has continued to move quickly (editing is fine, but narrative is often choppy), though the flashbacks--however decently short--get annoying sometimes. 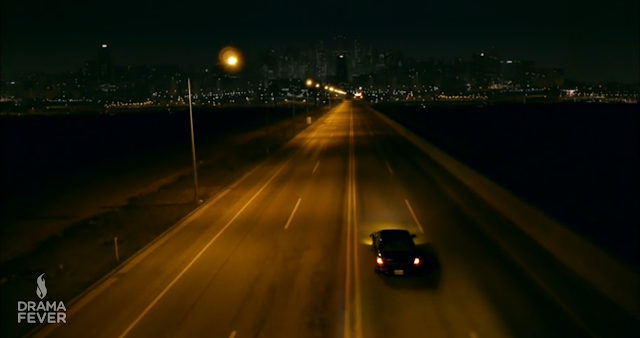 The cinematography has been pretty good, though there's definitely some disconnect between images. All of the characters are at least interesting, if not all likable. Some of the characterization (okay, most) is pretty shallow and typical (lots of orphans) and I am still trying to figure out if I actually like Lee Jae-yoon's Ji Hyun-min. 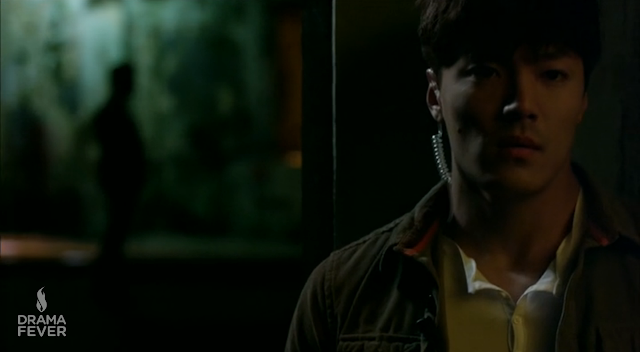 I think Lee is doing fine, but the character is a little too serious and straight-laced (well, sort of), and with a fantastic Jung Kyung-ho running around we're left with a bit of a who-cares-about-Holly-Martins-when-we've-got-Harry-Lime situation. I'm starting to get Anna's predicament. I am a little worried about Nam Gyu-ri (however I do actually like her well enough), and I am very happy that we got an extremely affable Go Na-eun as Lee Kyung-mi for the first few episodes. It makes complete sense that she will be fondly remembered by the other characters. Surprisingly, Nam Gyu-ri is given very little to do the first few episodes (and her scenes should have been more sensibly incorporated), but she's doing alright so far. I hate crying scenes in K-drama almost 100% of the time, but her's didn't not bother me at all. It's hard to believe that she'd become a police officer (I think that her elfin and plastic--not bashing at all people--looking face of hers limits her visual range), but I am willing to dispel some common sense and just go with the show on this one. All I ask of her character is that she prove to be good at her job. Everyone else is well casted (all the wonderfully typical gangsters!!) 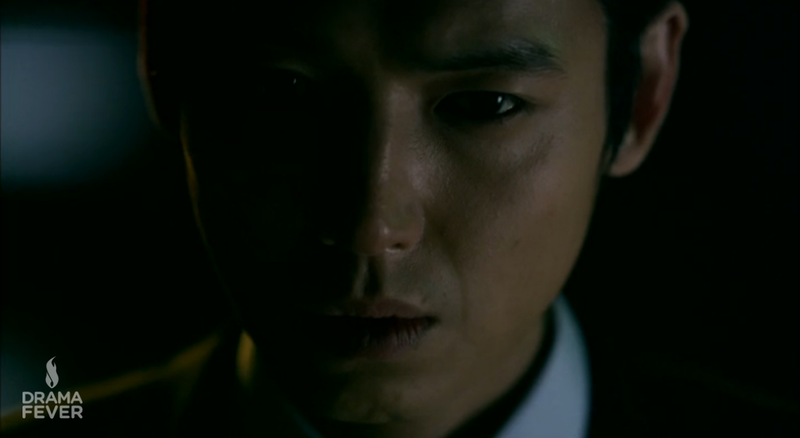 and putting in at least decent performances, but it's Jung Kyung-ho that really shines. His is an interesting character, and I think in the hands of someone else, it would definitely be problematic. He's got a cold, often brutal exterior, but there's also a barely tangible fragility there as well. He's not a big guy (not like Jung Woo-sung or Jo In-sung etc.) and so I am surprised by how strong his physicality plays in with his portrayal. There's nothing new about the story that hasn't been done time and again in movies (it's the whole undercover cop dealio), but that isn't necessarily a bad thing. 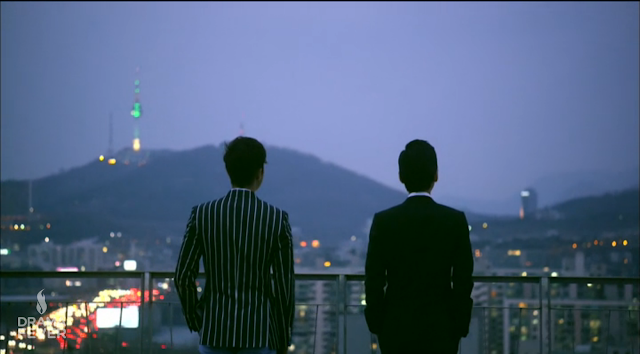 This drama is terribly typical with the genre is portrays but it uses its conventional characteristics well. And a few random notes: I love the blurred blades. There have been so many blades (mostly knives and an axe or two) and I just think it is hilarious, especially when you can see the blood spurting etc. from the knife wounds, but for some reason, the blade has to be blurred. It makes no sense to me, and it's a little distracting, but fun nonetheless. I love all the shots of the city. Sure, it's a little obvious, but it reminds me of all those old film noirs that utilize the city as a character of its own. I love the closing song. I have no idea who sings it, or what the song is called, and I am still trying to figure that out, but I love it. I rarely stay up late watching anything anymore, but let's just say that this drama had me doing an all-nighter last night, and well, it's 4:15 AM right now and I am writing this post. I suppose that says something about how much I am loving this drama right now, flaws and all. Let's hope it keeps doing well. I knew he sounded familiar! I remember he also did some work for the Gaksital OST. Thanks for the info and the link: you are a gem. *sigh* I am in luff with this drama!!! Yes, it's flawed for all the reasons you have mentioned, and I am also nervous of Nam Gyuri's performance, but boy, this show has my heartstrings already being pulled in all sorts of surprising ways. Wow! 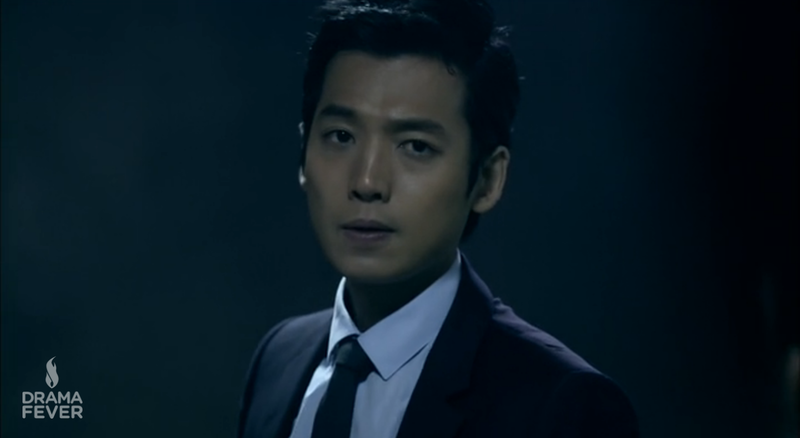 And Jung Kyung Ho - I LOVE him!!! You are so right! Even from the beginning when he was being so bad-a...he still had this layer of vulnerability. Lee Jae Yoon is gorgeous to look at, but I am already rooting for Shi Hyun. Can Monday come already? Wait, did I just ask for Monday to come? I haven't tried Shark (bustered has though), but I would HIGHLY recommend watching Cruel City! It's so wonderful! Please do! It's a wonderful drama. I tried Shark (I LOVE the director/writer duo's earlier revenge dramas), but I couldn't stand it. I loved the child actors but couldn't care less about their adult counterparts: it's like they weren't even the same characters. I see that you posted on the new post. I hope you're all caught up now! Eps 9 + 10 were a doozy, though not sure what to think about 10's reveal, lol. 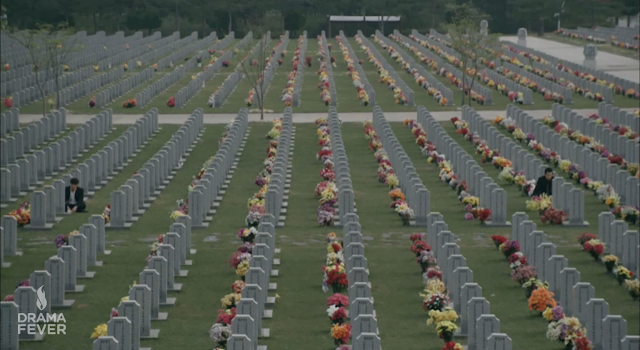 It's a really fantastic drama, and we'll definitely be posting about it more. I completely agree about the Batman feels. Batman has always been sort of noiry- especially with Gotham as an insanely dark city. And I wish i could get my hands on the soundtrack. I love the song at the end (and I have it now ^^) but it'd be nice to have the actual music, because it really is so good. I am all caught up! Now I'm frustrated I have to wait until Monday to see what that reveal at the end of 10 was all about! I have to thank y'all again for talking about how great the show was. I'm so glad I'm watching it! We're working on a post right now actually that should be up some time tomorrow where we chat a little about that little reveal at the end of episode 10...I think I'm just going to rewatch the episodes before Monday *sigh* it's hard when you fall in love with a currently airing good drama! ㅋㅋ The only downside to watching currently airing dramas. I just sat down and watched the first four episodes without stopping! I really like this show. I completely agree with what you said about Shark. The flashback part and the present day parts were too disjointed. I wish they would stop doing that with melodramas. I went back and read this post and it's crazy how much I thought the same things as you while I was watching it. The blurred blades are hilarious. So blood spurting from wounds is fine but a blade is just too much for TV? I'm also loving the city shots. 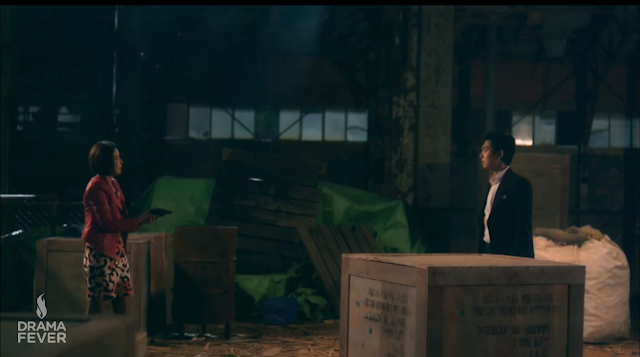 The tone of this drama to me is very reminiscent of the recent batman movies. I mean that in a good way because I liked those movies a lot. The orchestral score and dark city shots really brought batman to mind. Anyways, I'll probably be posting about this show too because it spurs so many thoughts! (And for me, fangirl spazzing). If you have a chance, I'd love to discuss the show thoroughly with spoilers! Because some of these twists and turns are just so surprising . I saw that you posted about the show again. I'll check that out once I'm caught up more. Off to continue the marathon!